Garlic scape pesto with garden-fresh snow peas. Last year, I grew garlic for the first time. It was a modestly successful attempt, certainly encouraging enough to try again this year. I planted the bulbs from the largest head last autumn, and (not so) patiently watched as the plants grew up this spring. I’d learned last year that you need to cut off the scape (the immature flower) when it begins to curl, so that the garlic plant could put all its energy into bulb development. I also learned that the scape was edible–it has a mild, chive-garlic flavor. What I didn’t learn last year was what to do with the edible scapes, so I just chopped them and added to whatever I was cooking. They certainly enhanced the flavor of a dish, but I wasn’t highlighting the flavor. Last week, my friend, writer Sherrie Flick, suggested making a pesto. I’d already made ramp pesto (miss you, dear ramps) this season, and that was a success. So, why not try scape pesto? The pesto is terrifically versatile. I used some on grilled chicken. 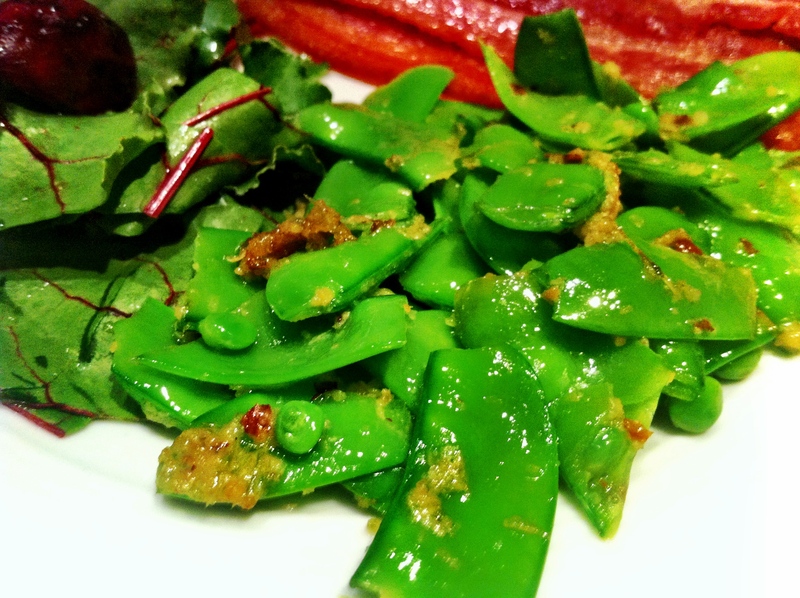 But the real highlight was tossing the pesto with some garden-picked snow peas and a teaspoon of bacon fat. The dish tasted like springtime bathed in rich butter; yet it was fairly low in calories and cost less than a dollar to make. Win! I feel like for the last few months I’ve been beginning nearly every post with an apology for not writing very often: “So busy with school,” “other writing projects,” “traveling,” etc. I probably need to reorganize this space in a better way, too. Point is, so sorry for not writing here for over a month, I’ve been very busy finishing school (I’m a master of studying food now), with writing projects (stories on food & the environment for The Allegheny Front, a weekly column in Pittsburgh City Paper), and traveling (mostly around Pittsburgh; it’s been beautiful here). I’ve also been spending a lot of time in my garden, and now I have some delicious treats to eat. Ramps might be the first edible sign of spring, but spinach is one of the first garden crops to really pop from the ground. 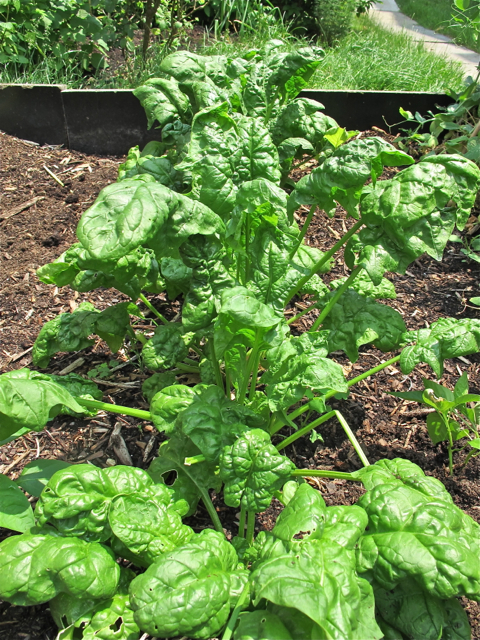 I’ve been eating from my spinach patch for three weeks now, and that’s forced me to be awfully creative; one can only eat so many spinach salads or lightly wilted spinach. 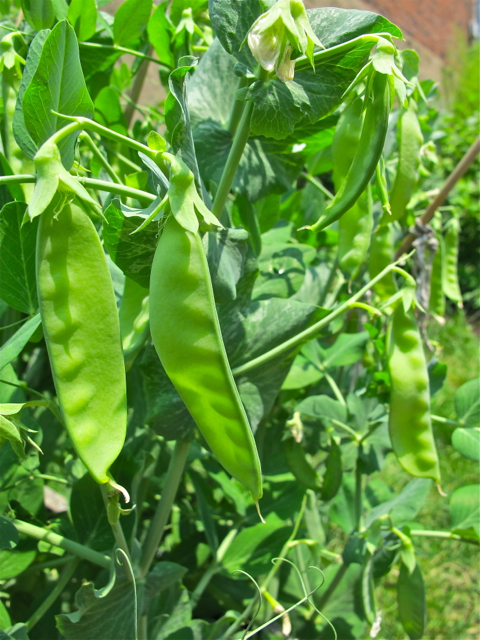 Luckily for me, my garlic started to scape (see my post on harvesting garlic for more information on garlic scapes), and the snow pea plants are producing (a bucket-load) of pods. That sounded like a promising start to a new recipe, so I rode my bike down to a wonderful little market called the Lotus Food Company; they sell house-made tofu, and it’s ridiculously inexpensive. I also purchased a bottle of black vinegar enhanced with “fruit and vegetable juice.” That’s about all that was written in English on the label! It’s a wonderfully complex vinegar with apricot and spice flavors. All in all, I had the makings of a terrific stir-fry. Add 1 Tsp. Vegetable Oil to a medium-hot pan. Pan fry Half-Pound of Firm Tofu, cut into 2-inch squares until brown. Saute the spinach, snow peas, and scapes for 2-3 minutes over medium-high heat. Cook for 1.5 minutes, remove from heat, and allow dish to rest for 1 minute before serving. 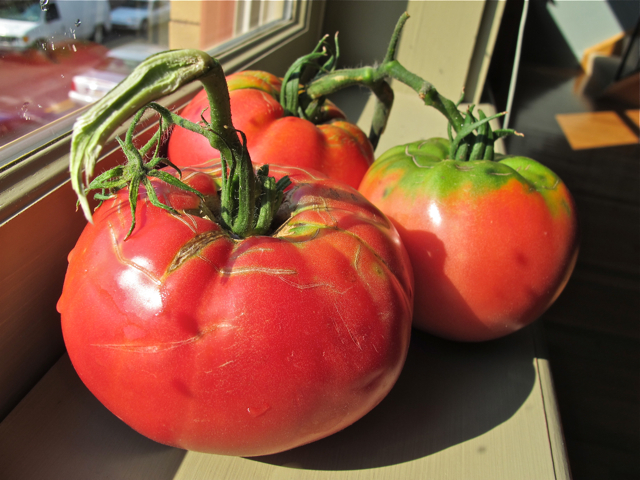 About a month ago, tomatoes the size of my head starting amassing on the large vines growing in my garden. My feeble plan of using bamboo sticks to keep the vines vertical was looking more and more futile every day. A makeshift system of shoelaces, bricks, and more bamboo provide temporary respite from that problem, but I could tell this was going to be trouble. 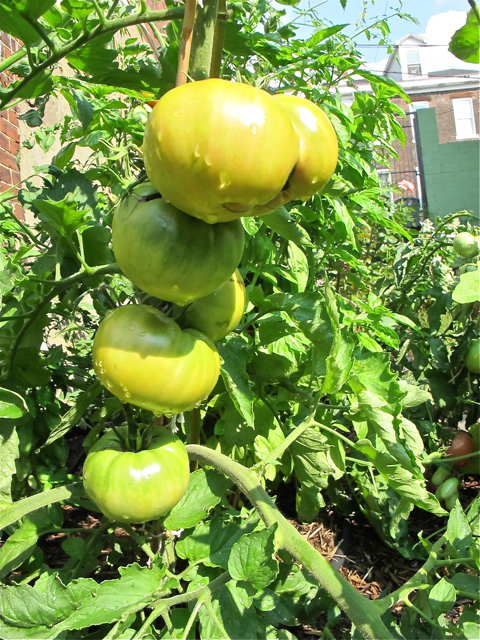 Then another problem arose–what was I going to do with all the tomatoes?!?! I never thought I wouldn’t know what to do with a tomato. This isn’t my first summer growing them. Every summer I lived in Los Angeles I raised a few plants, and I never had any trouble eating the harvest. A quick sauce, add them to a salad, perhaps a soup. Easy. But this year has been different. I heard terrible things about the tomato blight that has afflicted Pittsburgh the last few years, so I decided to plant five plants as an insurance policy. One dude, five plants. No blight, many tomatoes. This year, it was time to be creative. 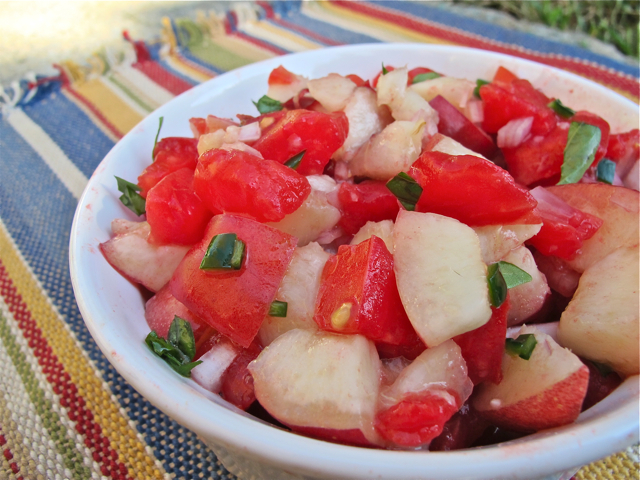 Nectarine salsa is the first of a few dishes I created with what what around my kitchen and garden. Let everything sit for 1-3 hours at room temperature before serving. *Remove seeds from tomato before dicing. 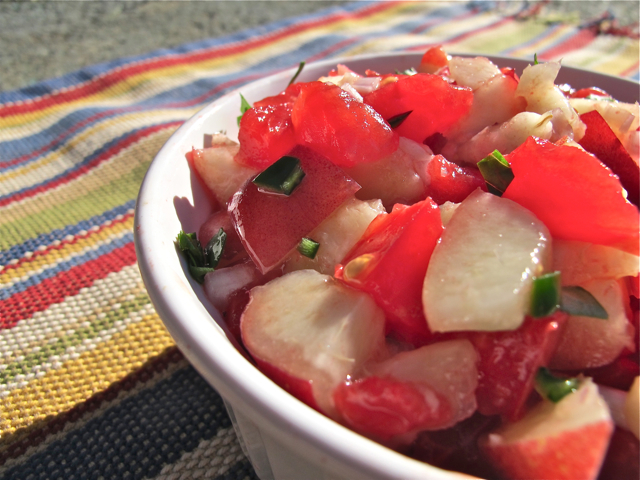 If you have time, let diced tomatoes drain in a colander for a few minutes–your salsa will be less watery. 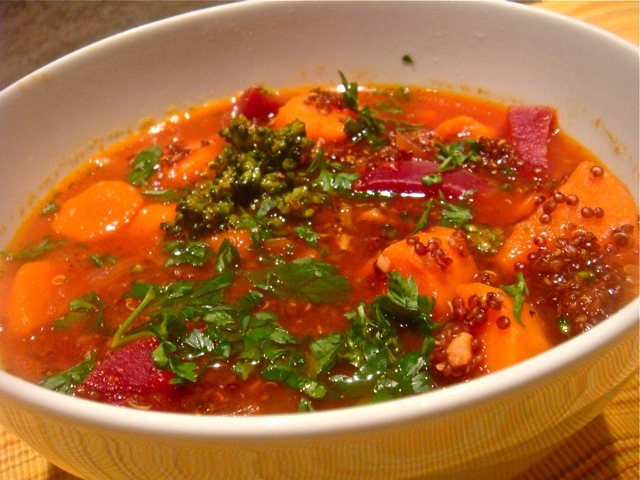 (Drained tomato water can be saved and used in a soup, or as part of a refreshing drink.) Also, try to use a variety of tomatoes if you can. I was going to defrost lasagna for dinner. And then I realized that I’d eaten a cheeseburger for lunch. When you break it down, there really isn’t much difference between the two. The might taste (deliciously) different, but ground beef, cheese, and white flour are major players in both. Since I’d just returned from nutrition class, I figured it was in my best interest to make something different. Bring to just the boiling point, and cook for 15 minutes. When 15 minutes is up, wander around your kitchen looking for more things to put in. Let that cook for another 10 minutes. Finish with 1/8 Cup Chopped Parsley. Pat yourself on the back for being creative and making tasty soup. One of my supersmart classmates told me about a post on the NY Times website featuring quinoa. 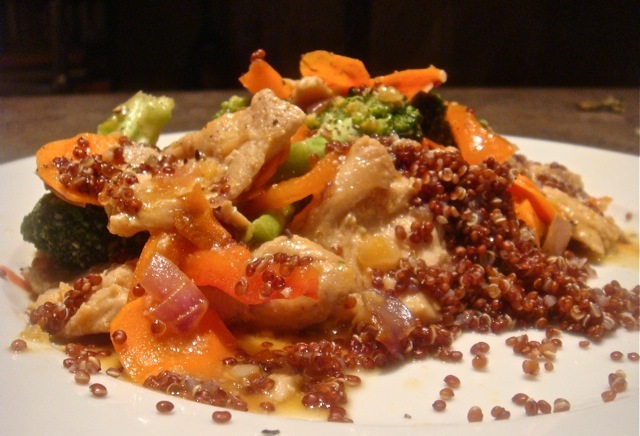 Well, quinoa happens to be one of my favorite new foods, and it should be one of yours, too. Quinoa is often referred to as a grain, but it’s actually the seed of a South American plant related to the beet. 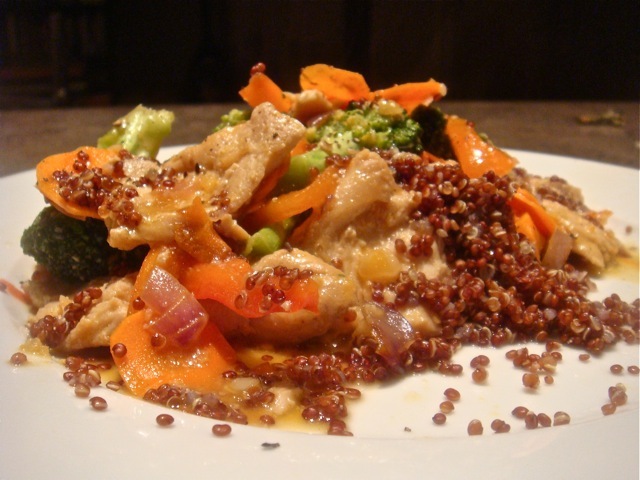 Quinoa is a complete protein, meaning it contains a full set of essential amino acids. It’s also a solid source of phosphorus, magnesium, iron, and B vitamins. Most importantly, the flavor is fantastic. Win on all levels. Preparation is simple: Rinse thoroughly. Use a 1 to 2.5 ratio of quinoa to liquid. I like vegetable stock, but water will work, too. Bring to a boil, cover, reduce heat to low, and simmer 15 minutes. Done. Slice Two Chicken Breasts into strips. While you’re making the marinade, might as well make the sauce. You’re using most of the same ingredients. Saute for 5 minutes, and remove from pan. Cook chicken in same pan for about 3 minutes, or until done. Return vegetables to pan, and add the sauce you prepared earlier. Finish with a squeeze of lemon. I’d say a half cup of cooked quinoa per person is a good serving size. 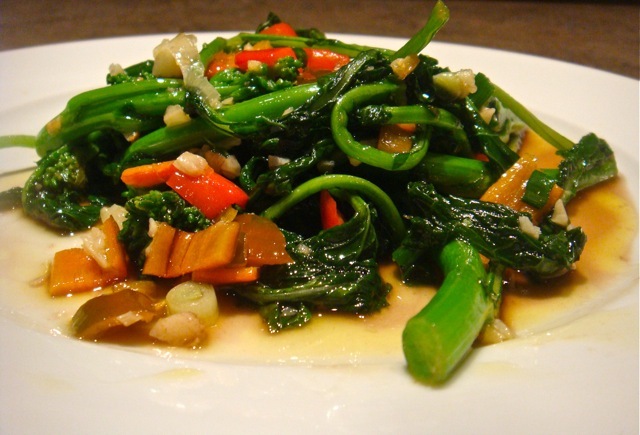 Broccoli Raab (also known as rapini) is a cousin of…the turnip. I’m sure you thought I was going to say broccoli, but, despite the broccoli-like florets, the two are not closely related. They do share a common trait though- delicious if prepared well, and horrible if prepared poorly. If you’re unfamiliar with broccoli raab, give it a shot. It has a strong, peppery flavor and is packed with nutritional goodness (Vitamins A/C/K, iron, calcium, potassium). Cook for 1.5 minutes, and then immediately plunge into ice water. *I used a Nardello Pepper I found at the farmers’ market. Feel free to play with your sweet pepper choice. 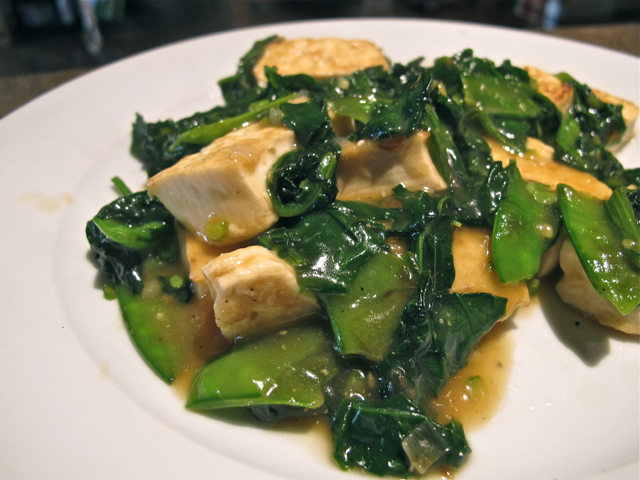 Cook for two minutes, turn heat to high, and then add the broccoli raab (drain it first…). Cook 30 seconds, taste for salt, and add a pinch more if necessary. I made a pancetta, egg, and cheese omelet this morning. My brain is generally a bit fuzzy in the A.M., and I ended up using less pancetta and cheese than I normally would have. The omelet was still good, but it wasn’t nearly as belly-rubbing as it would have been with more stuffing. I thought, “well, at least I can have a bigger dinner now, since there weren’t as many calories in my breakfast”. Why did I think that? What’s the point in being half satisfied? 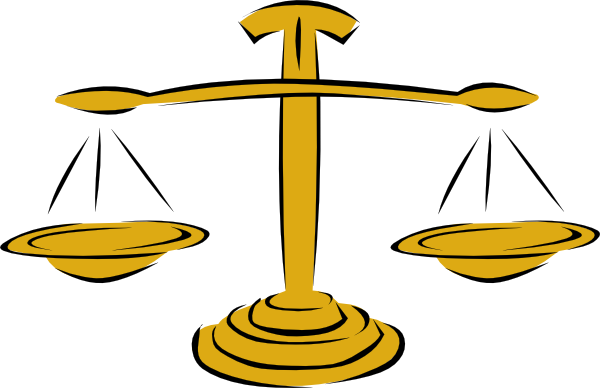 We aim our concern in the wrong direction sometimes. “Oh, I’ll just have half a slice of bread, I’m watching my carbs”. Personally, I’d rather have the full slice of bread. It makes my belly happy. It makes my soul happy. Would having half a slice of bread still give me enough food satisfaction in ratio to the calories saved? I doubt it. I still had an omelet with pancetta and cheese, even if there wasn’t as much cheese as I’d normally put in. How many less calories were there, really? Probably not enough to make a difference. So when you cook something on the decadent side, go ahead and enjoy yourself. Don’t snip snap here and there because you’re overly stressed about calorie count. Just cook something less calorie dense (but still delicious) the next time. I always thought of grapefruits as horrible softballs of sourness that grandparents eat for breakfast and fad dieters believe are spiritual. And there certainly is something to that stereotype; they are indeed sour &amp; astringent, fad dieters love them for their high lycopene and vitamin C content (as well as a mythical, yet unproven nutrient found only in grapefruit that, when combined with protein causes rapid weight loss), and, as they are grown primarily in Florida, many old people eat them for breakfast. But there is more to the grapefruit than sour old fads. They’re in abundance right now at Los Angeles farmers’ markets (CA is third in the nation in grapefruit production, behind Florida and Texas), so it made sense to give some a try. Oro Blanco: Larger than a softball, the Oro Blanco is a white grapefruit with lemon-green skin. 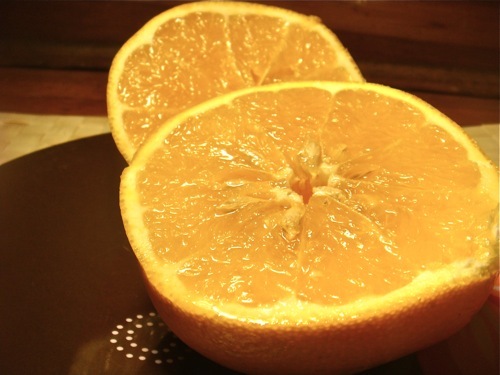 Nearly half of the fruit is pith, with means it will keep at least a week on the counter, even longer in the refrigerator. The sections of flesh are small, and there are a few seeds. When you cut the Oro Blanco open, you’ll be hit with a strong citrus smell, almost like surface cleaner. The taste is acidic and astringent, almost as mouth puckering as a lemon. There is a mild sweetness, but I found I needed to add a pinch of sugar to eat the whole thing. White Marsh: Lemon colored, medium sized grapefruit. The white marsh smells refreshing even before it’s cut into. There isn’t much rind to it, so store in the refrigerator. The fruit separates easily into individual sections. The flavor is like natural sour candy- it’s very tart, but the tartness is pleasantly balanced with sweetness. It was the most complex and interesting of the bunch. Pink: Slightly smaller than a softball, with deep orange skin flecked with pink. The interior is pink. When you cut the pink grapefruit open, you get a natural burst of grapefruit room spray. Sadly, that was my favorite part of the experience. The fruit itself was acidic and astringent. For me, pink grapefruits are best as part of a juice blend. Ruby Red: The most popular commercial grapefruit. Sadly, none were available at the farmers’ market, so I picked one up at the grocery store (via Texas). The Ruby Red is about the size of a softball, and has a bright orange outside. One the inside, it’s deep pink. The flavor is very sweet- it’s the least complex of all the grapefruits I tried- but, it’s also the most accessible to those new to eating grapefruits. Pomello: The basketball sized father of the grapefruit. Lemon yellow on the outside, the orange-yellow inside is buried beneath a wall of pith, making it a perfect storage fruit (if you have room for it). It has a soft, sweet flavor, with just a touch of astringency. Very refreshing! So try a grapefruit. They’re great for you, and taste better than you might think. 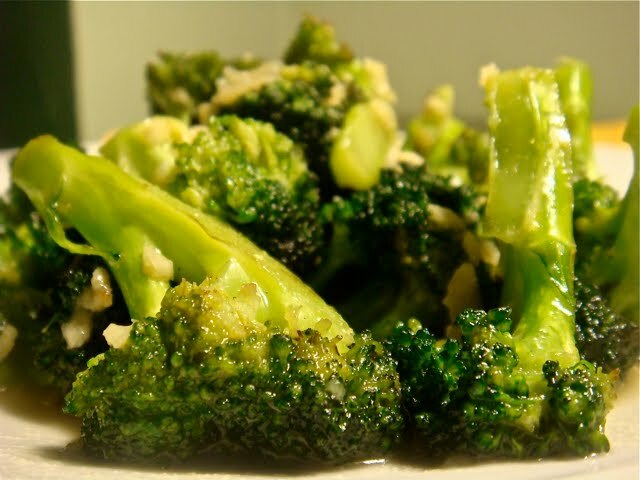 It’s no wonder so many people hate broccoli. The superdupermega vitamin-packed vegetable is almost always prepared as if it were old shoes. Boiled to death, steamed soft and mushy. Well, no more. Saute for about 4 minutes, until sides of broccoli begin to brown. Cook two minutes, or until liquids reduce by half. I am not a member of the Cult of Asparagus. It’s good, for sure, but not as good as french fries. Still, the stuff is pretty damn healthy, and it does taste like springtime (though not as much as now peas). Remove woody bottom from asparagus. This can be done by either: holding both ends and snapping -or- looking for the part on the stem where the color changes from a pale white green to a deeper shade of green and cutting just above that. Clearly, the second one will leave you with more to eat. 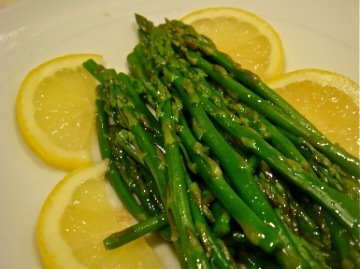 With thick asparagus, you should also use a vegetable peeler to peel the stem. Steam asparagus until just tender. Don’t overdo it. Don’t. For thin asparagus, 2.5 minutes should do it, thick asparagus 5 minutes. Add butter to a warm pan, and heat until it just begins to turn brown. Toss in steamed asparagus and a pinch or two of salt. Cook 30 seconds. Squeeze lemon, toss again, serve.